Writing may be simple for one person and a struggle to the next. However, anyone can succeed in it by utilizing online tools which assist in improving one’s skills. Whether you write professionally or just for fun, there are hundreds of browser extensions and mobile applications that you will find worthwhile and fun to use. Here is a list of 6 of the best online tools that you can rely on to enhance your grammar and writing style. It is among the most popular grammar checkers on the internet. Grammarly offers an online editor and free browser extensions that are compatible with Safari, Chrome, Firefox, and Microsoft Edge browsers. Besides, it is available as an application on Android and iOS and a Microsoft Office add-on. Its free version will allow you to identify 150 types of errors which include grammar, punctuation, contextual spelling, sentence structure, and writing style. You have the option of subscribing to Grammarly Premium with a monthly or annual fee, which improves your ability to write custom essay and edit it as you can highlight up to 250 kinds of writing errors. Both versions will enable you to select between American, British, Australian, and Canadian English. The tool allows you to check your text for errors and generate a report, which you can review to enhance your writing. The report has a rating that is determined through the consideration of various factors such as words, sentence structure, expressions, redundancy, and length. WhiteSmoke also makes suggestions on the specific areas which require improvement. It is regarded as one of the best solutions for checking grammar, spelling, and syntax, which it carries out in real time. Therefore, you will not have to cut and paste text from one program to another to identify errors. It is also possible to use the tool to edit content while writing online. However, WhiteSmoke does not have a free version; thus, you have to pay for a mobile application, desktop download, or web-based system. Besides, you have to ascertain that your anti-virus software does not block it. It is an excellent tool that you can utilize to check for errors in your typed text. Apart from its free version, Ginger has a paid option with superior features that will help you enhance your grammar. For example, it has a sentence-rephrasing feature, which will help you restructure sentences in a more precise way. Also, it incorporates a “Text to Speech” option that will assist you in speaking English in the proper accent and pronouncing seemingly difficult vocabularies. You can use Ginger online or download a browser extension that will allow you to use features such as spell checker, misused words detection, and singular-plural correction. Every writer seeks to build a connection with the intended audience; otherwise, there is no point in writing. The tool ensures that your text has the best prose and layout, which makes it more readable. It is important to note that your writing may be grammatically correct but fall short in readability, which refers to the ease of understanding the text. 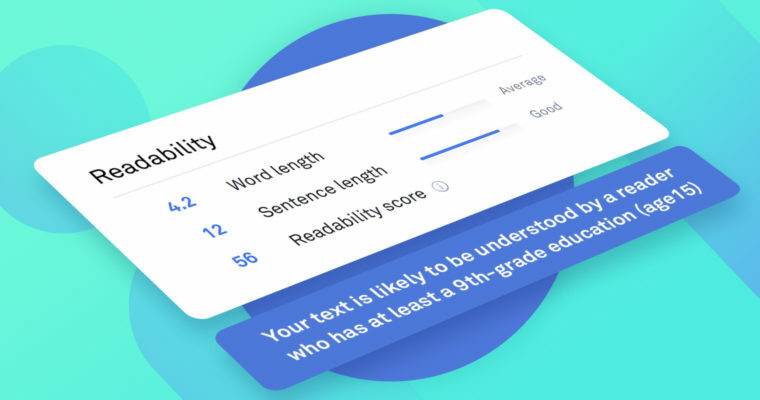 The online tool rates the submitted text on a scale between 0 and 100. A high score means that you have created high-quality content. It utilizes various techniques to allocate a score by considering factors such as the number of syllables, characters, words, and sentences. Additionally, it takes into account the vocabulary used in writing, which is especially important in the content meant for young readers. It is an essential tool that you require as an English writer as it helps in building your vocabulary. It provides a wide variety of alternative words and statements to ensure that the writing expresses your ideas appropriately. It has an extensive collection of antonyms and synonyms, which are beneficial in enhancing your English writing vocabulary. Additionally, the online tool contains words that are overused to ensure that you avoid them in your writing, which is critical for simplifying and sharpening your writing skills. It is a popular spell-checking tool which you can also use to carry out plagiarism checks. Paper Rater is available freely online, which means that you do not have to make any installations or downloads. The grammar and proofreading tool has billions of documents stored in its servers, which enables you to conduct a search that compares the inserted text to those already in the system to avoid even accidental plagiarism. Since it identifies copied writings and published works, it will help you avoid the embarrassment of someone claiming that you presented their work as your own. Various online tools exist to help you become a better writer. Selecting the right tools requires you to understand your needs as well as the features that they offer. Therefore, it is essential to scrutinize the identified tools to determine the ones that suit you best.